The Giant Atlas Beetle (Chalcosoma Caucasus) also known as the Caucasus beetle is a species of beetle in the Scarabaeidae family. This particular species is the largest of the Genus since the fighting spirit is strong it sometimes referred to as the world's most powerful Beetle. 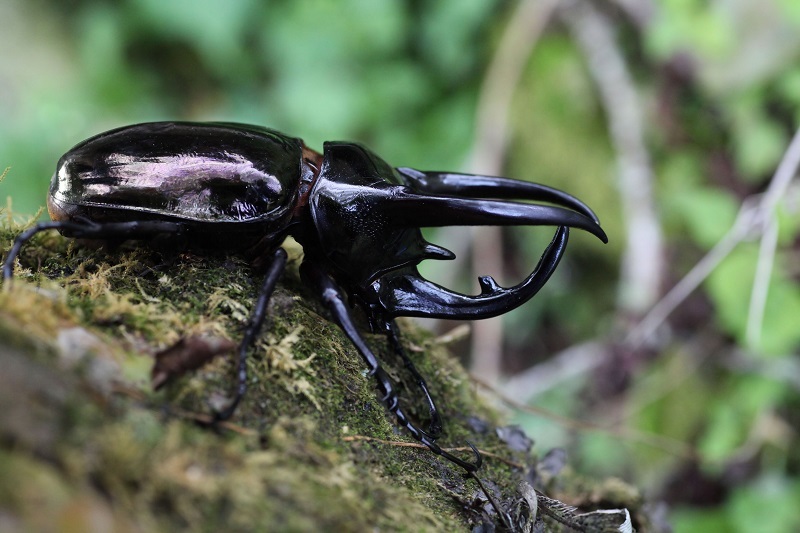 The Giant Atlas beetle is found throughout South-eastern Asia especially in Malaysia. Like other beetles of the genus Chalcosoma, the Giant Atlas Beetle is remarkable for its size that can reach a length of 60 millimetres (2.36 in) in the females. As common in some Scarabaeidae, the males are larger than the females, reaching a length of 130 millimetres (5.1 in). The males have specialised horns on the head and thorax that they use to fight with each other to gain mating rights with females. Like most of the Scarab sub-family Dynastinae the larvae of Chalcosoma Caucasus feed primarily on rich compost of rotting wood from stumps and roots, Only the males have enormous curved horns whereas the females are far smaller and covered in an layer of fine hairs called ‘setae’ and have no horns. The larva of the Atlas beetle is known for its fierce behaviour, including biting if touched. 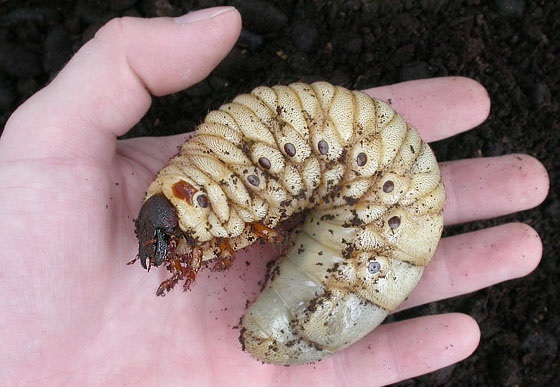 Unverified reports exist of larvae that live together fighting to the death if there's not enough space or food. Click HERE for a Giant Atlas Beetle care sheet.